Shortly after we started this blog, I posted a little piece about the possible closure of a hotel featured in Wes Anderson’s Bottle Rocket. A group of dedicated fans organized a fundraising event (which included a screening of the film) at the hotel to try and save it. Flash forward two years to now and, not only have they saved the film, but the get together has become an annual event. Bully for them! Read more about the third annual July 27th event here at The Rushmore Academy. Would you attend this event? A second red band trailer for Filth was posted last week and it’s a doozy. I’m really looking forward to this film. James McAvoy looks to have turned in another awesome performance. I bet this would be a great double feature with The Guard. Are you looking forward to Filth? Can you dig JGL as Dr. Strange? Or would you like to see him as another Marvel character? Or continue with his DC character? I met up with CT and Pax from the Nerd Lunch Podcast and Shawn Robare from Branded in the 80s this past weekend to record an actual honest to Crom Nerd Lunch Podcast! Like, with lunch and everything! We talked about the Fake Geek Girl Phenomenon, Sharknado, and a ton of other topics. We recorded the podcast in a busy restaurant so pardon the ambient noise. I think it actually adds a very cool quality to the episode. Enjoy it here! 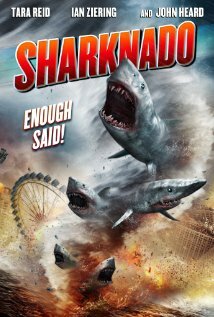 Did you see Sharknado??? I still haven't. 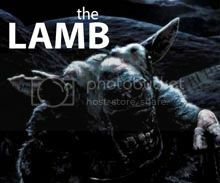 Last but not least, I’ll be appearing on the next LAMB Movie of the Month Podcast and I get to try and pick the film as well! I’ve thrown Minority Report into the ring and I’d love for your vote, which you can fork over here. 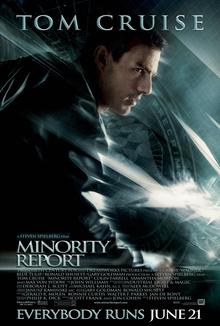 I think Minority Report is overlooked as far as Spielberg flicks go. It’s over 10 years old now, and ripe for discussion. How does the film factor into the careers of Spielberg and star Tom Cruise? How have we progressed towards the future depicted in the film and how have we not? That and more if we pick Minority Report as the Movie of the Month! Vote for Minority Report here! I read the book of Filth and I didn't like any minute of it. However I didn't like the book of Trainspotting that much either and the film came out brilliant so hoping for the best from the film of Filth. I actually haven't read any of Welsh's stuff (and I haven't even seen all of Trainspotting). James McAvoy looks nuts in Filth though so I'm definitely up for it. Thanks for reading!